The Misadventures of the Magician's Dog - Kindle edition by Frances Sackett. Children Kindle eBooks @ Amazon.com. Peter Lubinsky doesn't even like dogs and can't understand why he asked for one for his birthday. But it turns out that this pet, whom Peter calls The Dog, can talk and do magic--and he needs Peter's help. In return, The Dog promises to teach Peter conjuring and to help him bring his father home from the Middle East, where he is deployed with the air force. Soon Peter finds himself flying through the air on a mission to rescue The Dog's master. But as Peter's magical powers grow, he finds himself filled with dark anger. A bedroom full of dinosaur fossils, a waiter who was formerly a mouse, and an epic battle of magicians make for a thrilling read. This imaginative middle-grade fantasy is about the power of love and enchantment. Gr 4-6–Because he is afraid of dogs, Peter is shocked when he hears himself asking for one for his 12th birthday. Later, after bringing one home from a shelter, he is stunned to learn that his new pet actually talks. The Dog tells Peter that he needs help in releasing his previous owner, a magician, from a terrible spell. The Dog will, in return, teach Peter magic, which could help bring his father home from deployment in the Middle East. As Peter's practice of magic improves and deepens, he realizes that he is a better wizard when he is angry, and he has to confront his feelings about his father's absence. Peter's siblings also become involved with the attempts to free the magician. Peter's relationships are realistic. The resolution to the psychological pain of missing his father rings true and the magical plot presents adventure and an exciting climax. Fantasy fans will enjoy this story, and the fast-moving plot will engage reluctant readers.–Tina Martin, Arlington Heights Memorial Library, ILα(c) Copyright 2013. Library Journals LLC, a wholly owned subsidiary of Media Source, Inc. No redistribution permitted. There's a great deal of magic in this book both literally and figuratively. There's magic in the adventures Peter Lubinsky takes with The Dog. There's flying, a carnival, and a fabulous mouse turned waiter. The figurative magic is the crafting of an emotional story that combines fantasy with the real worries of a boy. This boy is Peter Lubinsky whose father has gone away to serve his country. Peter's emotions are real, and I love his journey to understanding them and himself. This is a fantastic upper middle grade filled with the kind of magic I like to see in a middle grade: fun meets heart. This is a great debut novel by my friend Frances Sackett. 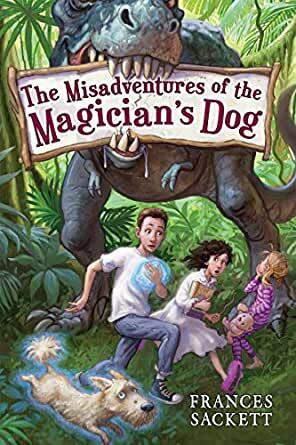 I enjoyed reading the story of Peter Lubinsky and his adopted dog who not only teaches him magic, but teaches him to appreciate his family and his life. Now I'm a little biased because the author is a friend, so I gave the book to my 10-year-old son and he loves it as well. If you have a school-aged child, this is a great book for them. All my three kids (5, 8 and 10) LOVED this book! And the best part is that I as a parent actually truly enjoyed it too! We are all hoping for a part 2! Engaging and well-written, I wish it were a series! This story was entertaining, engaging, and thought provoking. Peter Lubinsky is a pretty ordinary twelve-year-old. He prefers reading and chess to action and adventure. He's quiet and rather shy. He has two younger sisters - Celia and Izzy. He also has a dad who flies fighter jets and who has been deployed. Peter is an Air Force brat. He knows that all dads who are deployed don't come home. He is bottling up his worry, fear, and anger. Oh, and Peter is afraid of dogs. So, absolutely nothing surprises him more than hearing his mouth say that he wants a dog for his birthday. A trip to the shelter results in them bringing home The Dog. The Dog is no ordinary dog. He can talk and he tells Peter that he was a magician's assistant. He tells Peter that he can be a magician too. The Dog wants Peter to rescue his magician who has been turned into a rock. Peter would like to be a magician so that he could bring his dad home. But things aren't that easy. In order to do magic, Peter has to become angry and has to let the anger change him and take over his life. The Dog says that is the cost of doing magic. The Dog says that his boy was once a nice kid but becoming a magician turned him into someone who does nasty things just because he can. Peter doesn't know if the benefits of becoming a magician would be worth what it would cost him. He doesn't want to be angry all the time and he certainly doesn't want to hurt people. But he really wants his dad back home with the family. It takes some scary things, like dinosaurs coming to life and threatening his sisters, before Peter finds a way to do the right thing. I really liked this story. I thought it had enough adventure and excitement to encourage middle graders to read it and I thought it had a really good message too. I will be buying this one for my elementary media center this fall. 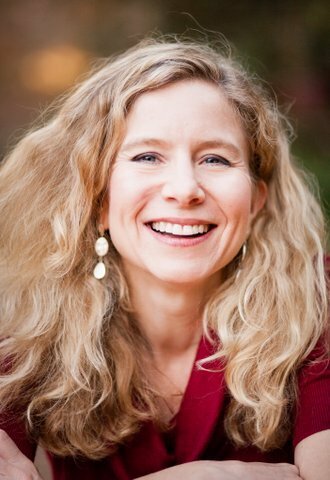 Sackett is a debut author to watch. I'm normally not a fan of talking-animal books, unless it's something like Redwall or Mouseguard where the world is populated with anthropomorphized creatures. However, The Misadventures of the Magician's Dog manages to make me forget this little peeve of mine. It's a story with heart, hope, and a big imagination. While exploring feelings of loss, anger, and selfishness, Frances Sackett writes an endearing tale of friendship and family in this debut middle grade novel. Peter is a relatable and imperfect protagonist, "ordinarily good," and his sisters Celia and Izzy make great sidekicks. Their dynamic as a family, especially one whose dad is far away and whose mom is busy working, keeps this story fun and modern, as well as emotional but without being too precious. They fight and make up and they judge each other as siblings do, but at the end of the day (magic is best done under cover of darkness, or people will ask questions!) they are family and they stick together. Sackett balances their comic sibling antics with Peter's introspection as he tries to determine what is right and what is wrong, in the middle of feeling shut out, left behind, and just plain wrong. The Dog is a new member of the family and he's quite enigmatic. As he reveals more about what he can do and why it is possible for Peter to do magic, Peter discovers things about himself--and he doesn't like some of these revelations. Why was he so mean to his dad the morning he left for his deployment? Why do his daily emails make him feel awkward and useless? Why did dad have to go in the first place, and shouldn't he work hard to learn magic to bring him back? Throughout the book, he struggles with figuring out what is the right thing to do, but whereas ordinary good decisions seem pretty obvious, extraordinary ones are a little harder to discern. 5.0 out of 5 starsWonderful book to read aloud. I just finished reading this book with my 9 year old son. We both enjoyed it so much. There were several times that we couldn't stop after just one chapter & had to extend bedtime a bit to find out what happened. In fact, we just read the last three chapters all at once! My son immediately asked me if there is a second book so we can find out what happens to Peter and his family. The only flaw with this book is that it has no sequel! There's much to love about this engaging, wild, sweet and well-written story. Underlying the adventure is a profound message that's worthwhile to share with kids. I don't want spoil it for those who haven't read it, but I came away having enjoyed the young characters and feeling good that the protagonist learned something of value that would stick with him.